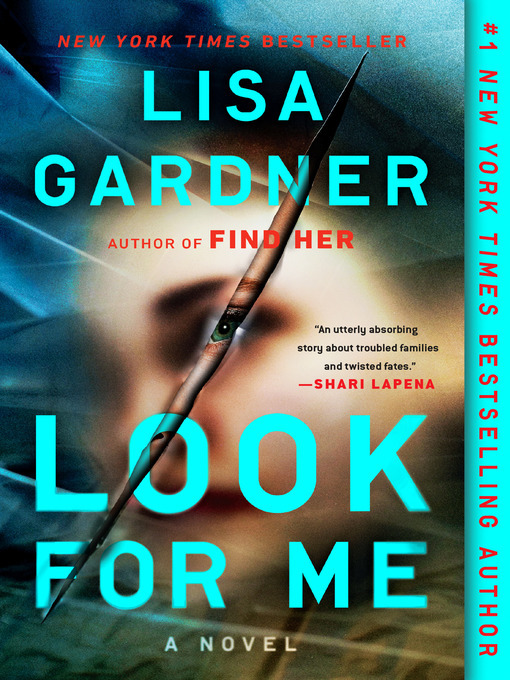 In #1 New York Times bestselling author Lisa Gardner's latest twisty thrill ride, Detective D. D. Warren and Find Her's Flora Dane return in a race against the clock to either save a young girl's life...or bring her to justice. The home of a family of five is now a crime scene: four of them savagely murdered, one—a sixteen-year-old girl—missing. Was she lucky to have escaped? Or is her absence evidence of something sinister? Detective D. D. Warren is on the case—but so is survivor-turned-avenger Flora Dane. Seeking different types of justice, they must make sense of the clues left behind by a young woman who, whether as victim or suspect, is silently pleading, Look for me.